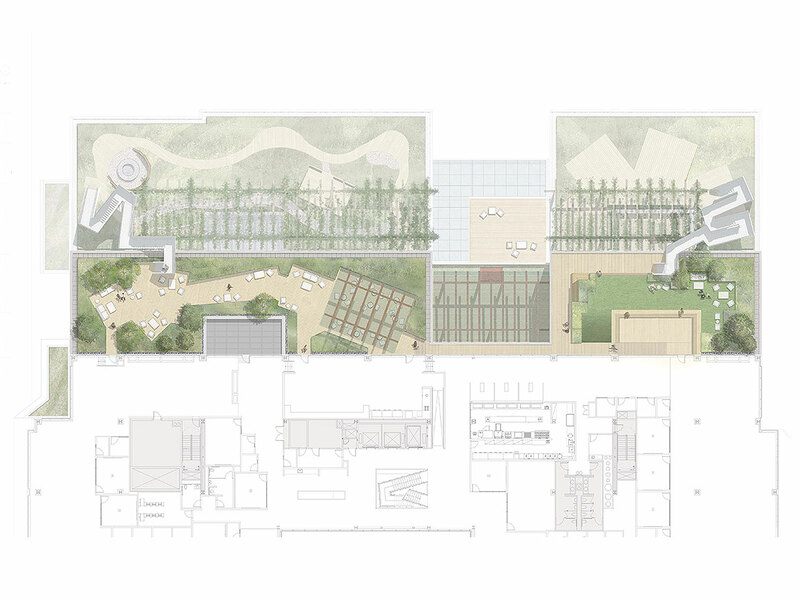 Our Facebook client wanted to create an urban, multistory version of their Menlo Park, California, headquarters, which is about 10 acres of connected office space on one floor with a large roof top garden. 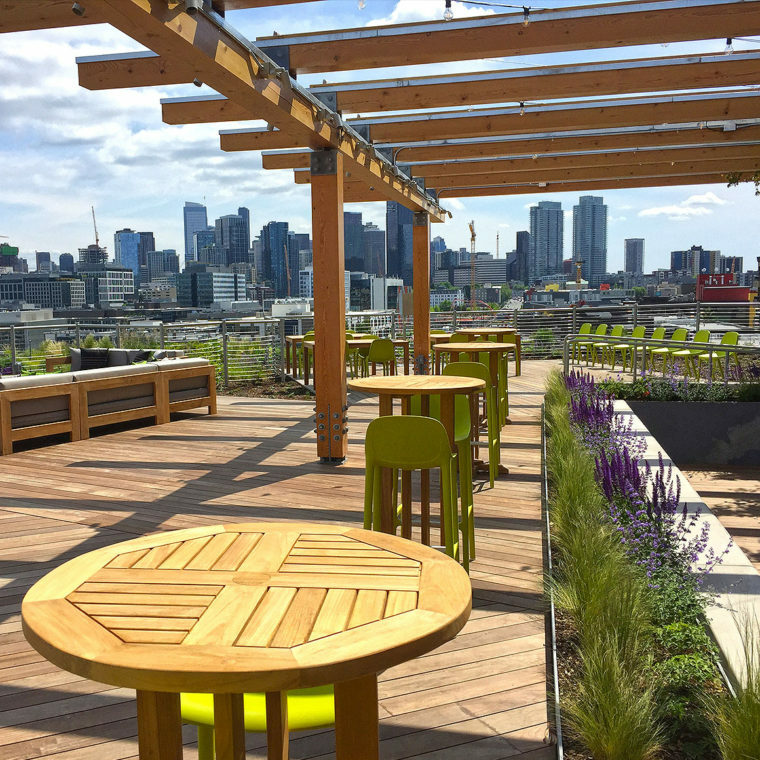 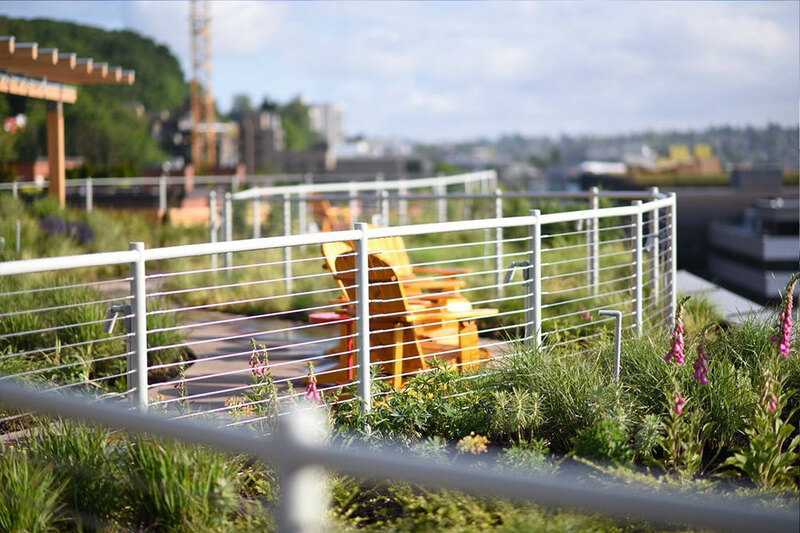 Berger Partnership, in collaboration with Gehry Partners, designed a series of roof terraces with sweeping views overlooking Lake Union and downtown. 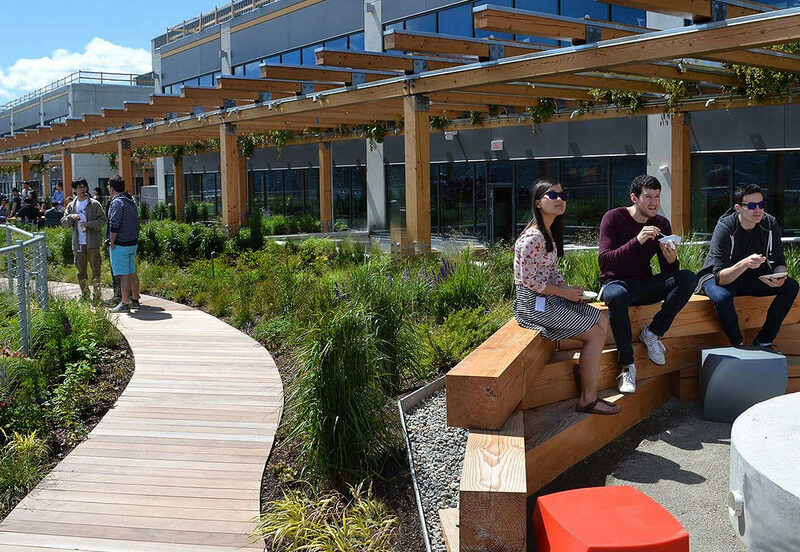 The goal was to create a comfortable, casual garden meadow where employees could work, meet, walk, dine and expand the sphere of productivity beyond the traditional work space. 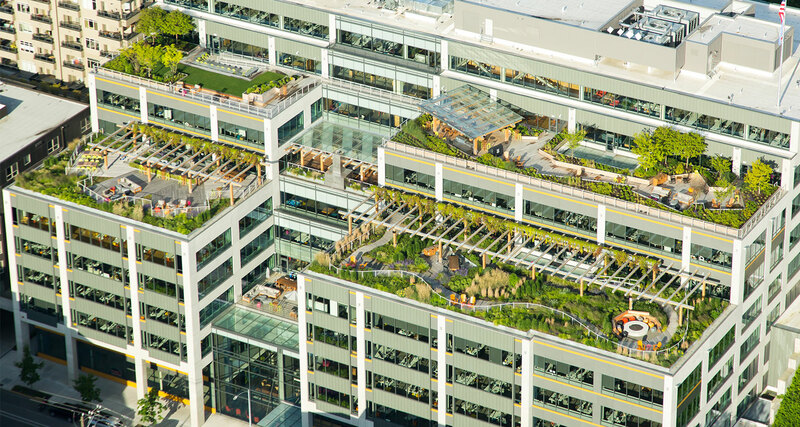 The terraces on Levels 4, 7, 9 and 10 provide a dynamic series of experiences along with interconnected interior spaces and are an integral part of the flexible work environment where nearly every work space is visually connected to the interior or exterior landscape. 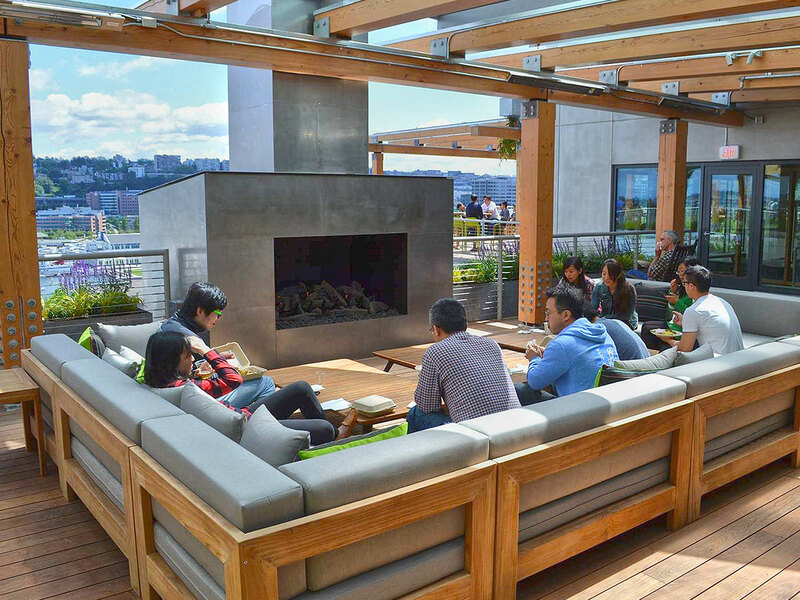 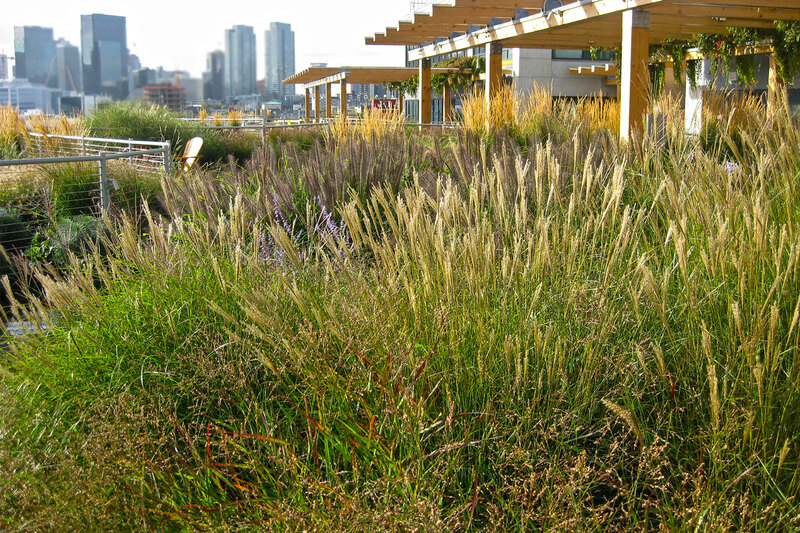 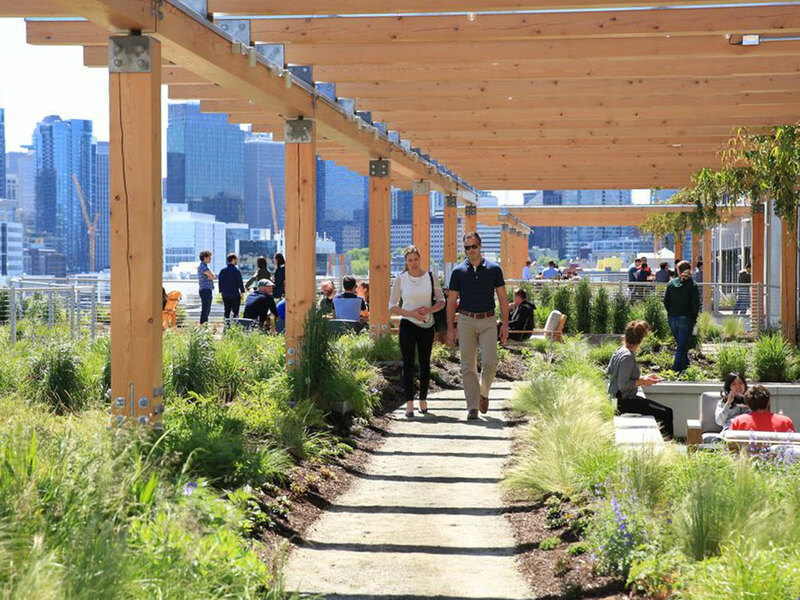 The roof top garden is about connectivity: connecting people and connecting to the outdoors.